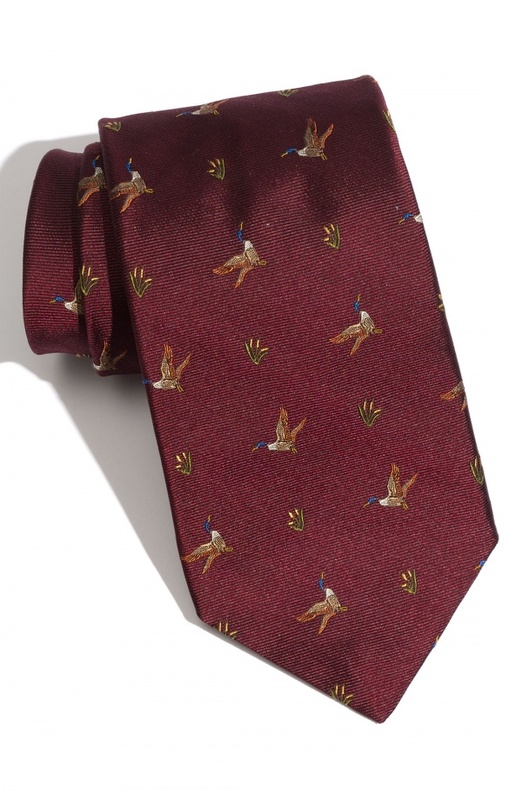 1901 produces this woven silk tie features a beautiful duck pattern embroidered onto its front. Featuring a field of burgundy and a beautiful rustic theme with alternative ducks in flight and sprigs of daffodils (or are they reeds? ), this is a wonderful tie, available online now. This entry was posted in Ties and tagged Tie. Bookmark the permalink.